Think you know your Fortnite locations? Prove it! If you play a lot of Fortnite, you probably think you know just about all the locations, right? Could you pinpoint your location on the map just by looking at a screenshot? A new game created by Redditor TheEdenChild, inspired by Geoguessr, aims to test your knowledge. 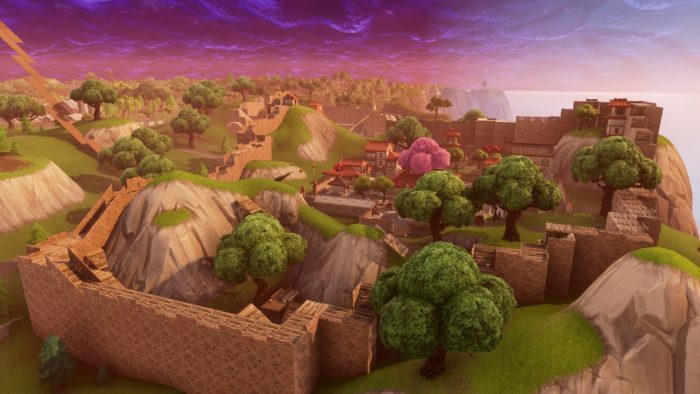 Where in Fortnite is an impressive creation (with both normal and hard modes) that drops you in random locations on the Fortnite map. You've got to use your wealth of Fortnite knowledge to figure out and name where you are before time runs out! If you really think you know all there is to know about the game, you can even opt for Night Mode, which takes the locations and sets them up at night, so it's even harder to figure out where you are, unless you really are a pro. Think you've got what it takes? Check out Where in Fortnite's official page here before it gets swiftly shut down by Epic Games. Or not. It looks pretty slick, perhaps it'll be allowed to remain operational. If you're more interested in trying to figure out where you are in the real world and not Epic Games' cartoonish hellscape of a battle royale, Geoguessr is the game's inspiration, and it's pretty tricky. You can try it out here.